A blog (short for “web log”) began in 1994 as a personal online diary. People shared what was happening in their daily lives before the world of MySpace, Facebook, and Twitter. However, once Google became the leader in searches and began placing high value on relevant content, people and businesses began to see the value in blogging. Sharing information. 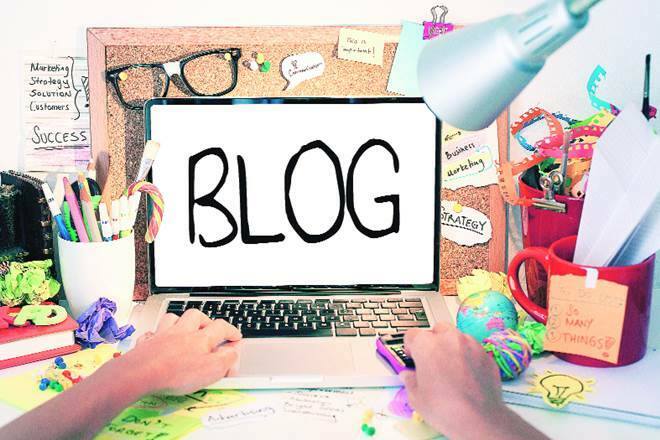 Now, blogging is a way for individuals and businesses to share information, expertise, and news related to anything, but usually only one topic. A roofing business, for instance, may share tips on removing leaves from gutters, or why a steel roof is better than a shingled roof. A cleaning company may offer tips for cleaning before a family get-together as well as reasons to hire a professional cleaning company. SEO (search engine optimization) results. Search engines love new content and regular content. When individuals or businesses update their blogs, they rank higher in the search engines, which brings in more eyeballs, and results in more clients. Engagement. Blogs usually offer readers or customers a way to engage with the person or business by leaving comments or asking questions. A website is a static page only, usually with only pertinent information about the business, such as hours or services. Content. A blog is usually added to regularly in reverse order, meaning the most recent posts appear at the top. Websites, on the other hand, are updated much less frequently as typically businesses don’t change their information all that much. A blogger is anyone who owns a blog and updates it regularly. A blog can be on any topic, usually one that the blogger is passionate about. It can be like a daily diary with updates to the blogger’s life. However, the most engaging blogs are on relevant topics to users, such as self-development, religion blogs, or hobby blogs like flying or racing cars. Blogging takes time. You have to maintain a blog and keep adding to it. Search engines look for new content as well as relevant content, and readers don’t return if you don’t write. Ideas to blog about. This is often a challenge, especially for the non-creative types. Luckily, you can hire a blogging service (such as Search Results Blogger) to help you. Payoff is not immediate. It takes time to build up readership and get ranked by the search engines. Blogging and content creation is a long-term game that many don’t have the patience for. If you’re a business or an individual thinking of adding a blog, contact Search Results Blogger. We know how to keyword research to get your relevant leads you need to grow. Our writing skills is excellent and our track record impeccable. Do note it typically does take at least 6 months to see results in the search engines; however, the sooner you begin, the sooner you’ll see results. Contact us today to begin!